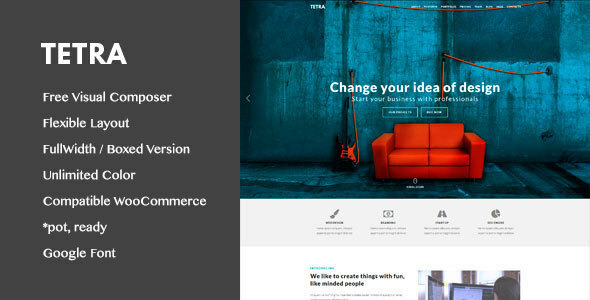 Tetra is a multipurpose landing page template with added support for marketing. It is a fully responsive website landing page template, which means it can be easily adapted to various devices and displays with different aspect ratios. The theme offers multiple design components which can be customized to create a unique and fully-functional website. Tetra theme is translation and SEO-ready with integrated capability for Google Analytics. In addition to its ultra-modern design, it also offers powerful short codes for clean web programming, thus, aiding the efficient creation of a website landing page.